Dynasty’s modern take on the long handle Black Steel® series has the strength of bristle in a super strong synthetic. 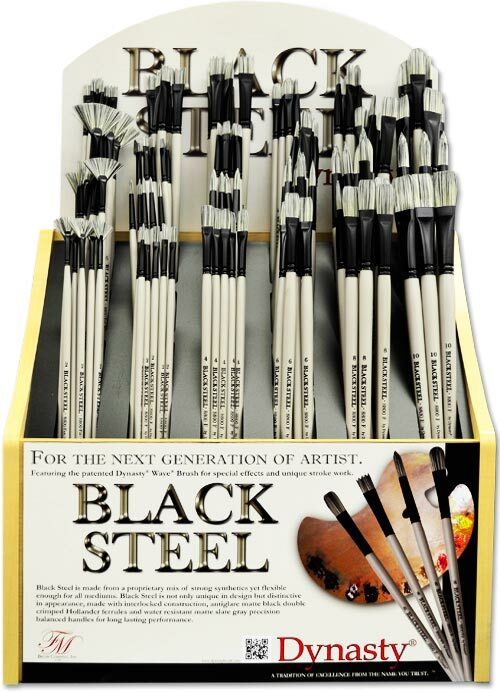 Made to push the heaviest mediums yet flexible enough to possess fluidity in stroke work, our artist brush manufacturers created Black Steel® for every artist. Made from a proprietary mix of synthetic materials which is blended and polished in the FM Brush factory, it is not only unique in its construction but distinctive in its appearance. The various colors in the fill material represent the different levels of strength in the brush. 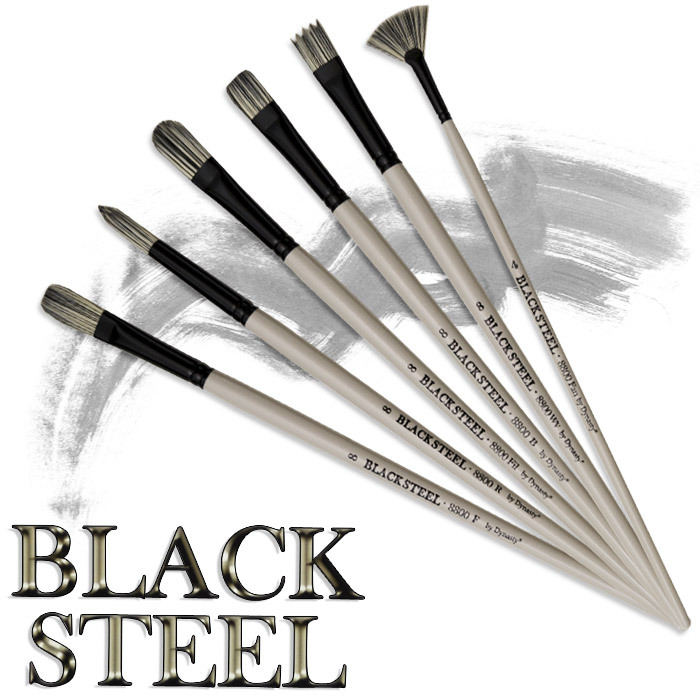 Black Steel® is made with interlocked construction, anti-glare matte black chrome-plated double-crimped Hollander ferrules and attached to water-resistant matte slate gray precision balanced handles. We are happy to be your trusted paintbrush company, offering you superior specialty paintbrushes at competitive prices. If you are interested in learning more about our products and services, contact us today at 1 (718) 821-5939 with any questions or concerns. Interlocked construction, anti-glare satin Hollander ferrules. 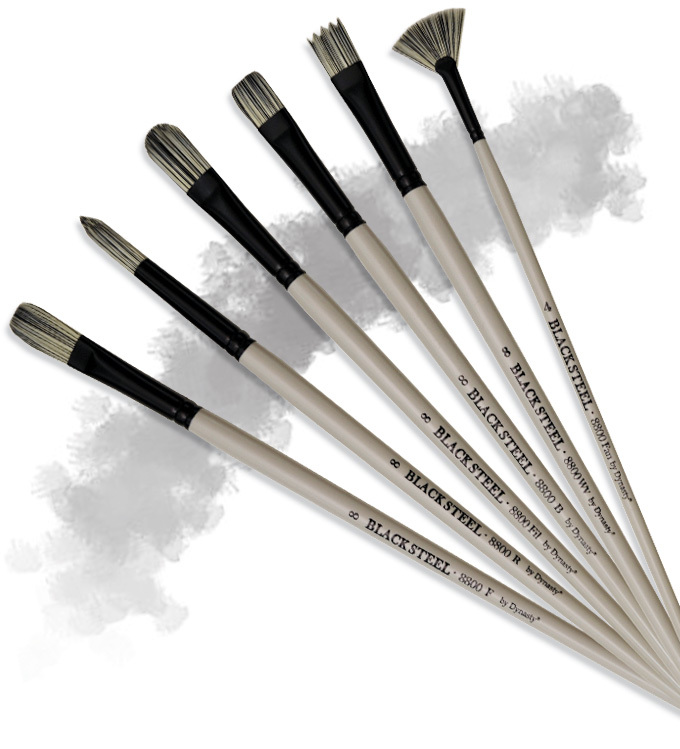 The perfect brush for outdoor painting and plein air artists. Purchase Dynasty Fine Art Brushes At These Fine Retailers!